Nuneaton Town have released five players following their failure to reach the Conference Premier play-offs. 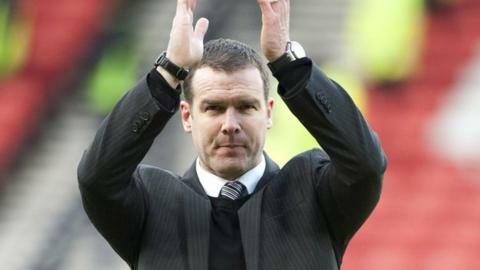 New Boro boss Brian Reid has let go Jon Adams, Wes York, Greg Pearson, Phil Trainer and Emmitt Delfouneso. Skipper Gareth Dean and striker Andy Brown are already under contract. Defenders Theo Streete and Delroy Gordon, midfielders Adam Walker and James Armson and 17-goal top scorer Louis Moult are all on Reid's retained list, having been offered deals. Keeper James Belshaw's future is yet to be decided, but Dave Hibbert, Danny Sleath, Connor Taylor and Simon Forsdick, who missed the whole campaign through injury, have all been invited back for pre-season training for the chance to earn a new deal. After spending most of the season in the Conference Premier's top five, even briefly heading the table in September, Boro were still well placed in fourth when Kevin Wilkin left to join fellow Conference Premier side Wrexham on 20 March. But they then picked up just two points out of a possible 21 over the next seven games. And the rot was not stopped until, in their third match under the newly-appointed Reid's command, Boro won on the final day of the season - at home to Dartford, thanks to a Moult hat-trick.